Another beautiful quilt on display at the Winston County Library. 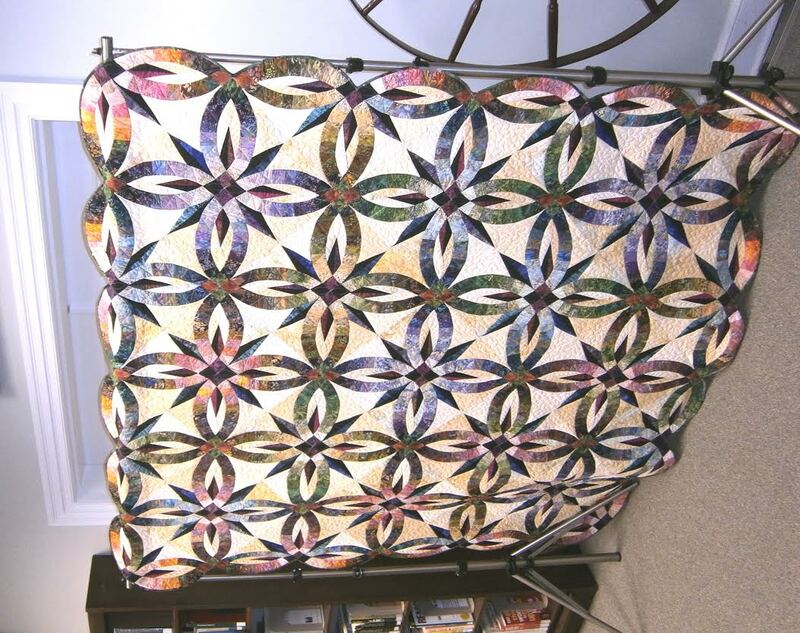 Pieced by Martha Dubard and quilted by Gayle Wallace. The pattern is called “Wedding Ring Star”.